It leaves a bitter sweet taste in the mouth. Sweet because we desperately needed the Chavs to get beaten, and comprehensively so if we still want to have a decent go at winning the PL this season; bitter because a Spuds win is never a good thing. I am not overly bothered about our North-London rivals temporarily pushing us out of the top four, and a gap of 8 points with the Chavs rather than 11 is worth the agony. We also know that the Spuddies thrive in the current wet, dark and nasty conditions but as soon as the sun starts warming up these shores again in April and May, they will willow away to finish behind the mighty red and white once more. Chelsea are playing Leicester away next and will also have to go to Anfield this month, and if we grind out a few wins we will be able to close the gap considerably with a bit of luck. A few weeks ago, after two disappointing away defeats in the North-West, we did not feel too good, but now that the Chavs’ winning run is over – they were not able to get a 14th win in a row, a record that still belongs to The Arsenal – the boys will have new hope and focus for the title. Having watched the Spuds v Chavs game (without sound of course), I was impressed with the midfield set up of our neighbours, I hate to say. Dembele and the by many here once coveted Wanyama were a constantly moving wall that dominated the midfield proceedings to a large extent. The way they did it was actually reminiscent of previous Chelsea teams! Since I saw Dembele boss the midfield for Fulham against us at THOF a few seasons ago, albeit in a more advanced midfield role, I have wanted him to become our deepest laying midfielder. We got (back) Coquelin instead and he has been great ever since he returned from Charlton. It looked to me that Wanyama sits a bit deeper and Dembele pushes forward regularly, but they always worked in tandem and did not allow much space between them, which is key to forming a mobile, impenetrable wall allover the pitch. I reckon we have better midfielders at Arsenal but we simply may have too many. I am also worried about the lack of consistency in our DM pairing. To some extent, I like the thought of mixing things up for different kind of opponents, but in order to get some team cohesion and consistency in our game play we could really do with establishing a first choice DM pair. I am fully aware that injuries have made things harder for Wenger, though. With Santi out for at least another month and Elneny away at the ACN, and the season entering its crucial mid-way stage, we could really do with Wenger picking the best possible combination asap. As discussed in previous posts and comments by BKers, the pairing of Coquelin and Xhaka has not really worked well until now. Both have a tendency to control the game from deep, with the Frenchman a more natural destroyer and the Swiss maestro more of a Pirlo. By sitting deep, they tend to leave too much space between defence and attack, depriving the attackers with the necessary support more often than not. As a result, we often let teams boss us in our own half for too long periods, most notably against Man City, but also against the Cherries on Tuesday. Against Bournemouth we ‘dared’ to push up our DM duo all the way towards the area in front of their ‘D’ in the second half, and that is what turned the game round for us. The Spuds did the same for large parts of the game yesterday with Dembele and Wanyama bullying the Chavs midfielders – no softies either – deep back into their own half. And that made all the difference. And when the home team had to defend, their DM duo made the centre of defence almost impenetrable, forcing the Chavs to try and attack them from the wings, which, to be fair, they managed to do a few times but without success. I am still rooting for a Xhaka-Rambo combination, with the former sitting deeper and the latter connecting defence-midfield-attack continuously. However, I am not sure whether these two can have the necessary chemistry and telepathic understanding to work as an mobile, solid wall of real force and dominance all over the pitch. I am convinced we have a fine defence and a great attack, but getting the DM duo right will be pivotal to getting the team to reach its full potential and win the title this season. There is truth in the criticism Rambo receives regularly regarding his defensive discipline and I feel that there will not be many more chances for him to establish himself in the team. The nr10 position seems to have gone to Ozil and Iwobi, and rightly so in my opinion. So Aaron, this January could well become the most important month in your (Arsenal) career. If Wenger does put you next to Xhaka or Coquelin you need to play with discipline, force and tactical nous: fight your instincts to bomb forward and leave your partner alone and rejoice in being the joined boss of our teams proceedings. Simple can also be very beautiful. If you fail, Elneny or (eventually) Santi will take your place. At this stage of your career, failure is not an option. Grab that bull by the horns. This entry was posted in Arsenal Analysis and tagged Arsenal, beast of a DM, midfield battle, premier league, Ramsey. Bookmark the permalink. Interesting post TA, whatever happened to the dynamic midfielder who hit 16 goals in 2013-14..? In a team that contained Arteta, Wilshere, Cazorla and Ozil at different times. Or the player we saw last summer in the Euros? Kev, a lot injuries have kept him from gaining momentum, and he is the sort of player who gets better the longer he plays. Once he is fully up and running, Rambo is a force to reckon with…. but he then gets so often injured again… sadly. How is taxi life in London at the moment? Interesting post, TA. My take is that AR is not necessarily a B2B. Kev, he does well at the Euros very advanced and more 10 than B2B, especially with speed and finishing around him (Bale) to distract. In 2014 he was wider cutting in which suited our style with our very good full backs very well. Now we have Freddie Perez (emerging), Theo, Iwobi (if Ozil is 10), the Ox (wish he’d take that final step) and Alexis (if OG is up front vs parked buses). Back then we didn’t have Perez, Ox was “newer” and Theo was recovering from him knee and wanted to replace OG…. Today we also have better DMs in Xhaka, El Neny and Coq, and better B2Bs if you want for that role in Santi and El Neny, who are more patient about taking opportunities to go forward than AR who is naturally more aggressive on attack, and less a grafter than either of the other two on defense. I could even see Iwobi sitting with Xhaka, and we’ve already seen him wide in front of Theo, so…. Thus, as TA points out, he has to change or die. Interesting days to come and it might then be interesting to see the Preston lineup, and see if Xhaka is paired with someone new? Interesting piece in the Evening Stardard. Of course when it comes to winning league titles there’s nobody who knows more about that than Harry Rednapp. Ramsey has been shunted around quite a bit since 13-14 TA, Ozil was mostly out wide that season. I know that injuries have hampered his game in recent times, but making way for Mesut has had a negative effect on him as well. As Dr Geoff so eloquently remarked, Aaron is better in a more advanced role, and I concur with that view, hence his impressive performances for Wales. I honestly don’t think he’ll ever be a box to box midfielder, I think it wastes his talents, one of which is his ability to make dangerous surges into the box. Cheers Kev, I reckon in the modern top game, Aaron is not suited for the nr10 role. His passing of the ball is not good enough, and his need for space to be at his best is not suitable for that position. For Wales, against weaker teams than in the PL and CL, he had a free role in a sort of 4-4-2 system and he worked with the very, very good Bale. That suited him but such a role we do not have at Arsenal and he is not near the level of Ozil. For me he is the Frank Lampard sort of B2B player…. but he will also need to be a good defender nowadays… If he does not claim that position next to Xhaka or Coquelin soon, I reckon he will be sold this summer. Rambo is somewhat of an enigma. At the top of his game, as Kev pointed out earlier, he was electric. I can’t help wondering if it’s because with a big personality like Alexis around, he is not the top dog. On hid day I think he is one of the best, but unfortunately his days haven’t been that often recently. Totally agree about the Spurs midfield. In the draw at the Emirates last season Dembele and crew just bullied our midfield out of the game. You only havfe to look st the goals conceded tables to see why Chelsea and Spurs are looking stronger than us at the moment. I don’t think there defenders are better than ours, but they both have strong defensive midfields whivh are playing consistently together. Every week we seem to speculate who will be our DM pairing. Rambo is such a technically gifted all round player, only he comes out 2nd best in nearly all positions. I’d wager he is even a good goalkeeper nearly not as good as Cech anyway. He is an offensive player. Watch him burst upfield for his late box runs with incredible energy and enthusiasm. Watch him tracking back to join the defending and you’d see a laboured effort on weary legs. Nothing can define his mind set better. Unfortunately Rambo hasn’t the pace to play in the attacking wide areas and #10 is sacrosanct (not that I agree), so he is forced to th B2B role which demands a mentality finely balance between offense and defense which all but excludes him from that role. A 4:2:1:3 formation with Rambo as the 1 would suit him perfectly. If there isn’t this formation change for him, he’d be be holding fort only while awaiting the return of our unavailable CMders. Agreed Retsub, on his day, when he is fully motoring, he is awesome. Agreed, PE, he has attacking instincts, but he can also play with defensive discipline if need be. It’s more a mental thing for him. We already play 4-2-1-3 and Wenger rightly has opted for Ozil and Iwobi to play in the ‘1’…. unless I am not following you?! TA, 4:2:1:3 a variation of 4:3:3. But it could mean another role for Ozil, say the wide areas. The centre front 3 is like a false #9. ………………The Puzzle that is Aaron Ramsey? And it is a puzzle that has no easy answers. But I think most have been covered by yourself, and the above comments, TA. I am guessing it was a hard one to write, so I will not go clumping around in my size 12 boots, rest assured. I think one of Ramsey’s biggest handicaps, and he is not the only footballer to find this, is getting back to peak form and needing a lot of playing time. He took a long time to come back from his big injury, and he probably peaked in that much revered 2013/14 season. Three years on, and numerous short term injuries later, each one taking time to get to those heights once more, and the team evolving away from him with the presence of Ozil, does not bode well for his future at Arsenal …. Unless he can find a new identity within this team, but it needs to start right now. As you say TA, how well he performs during this month may well decide his future here. That, for the moment at least clears the puzzle of where he plays, which has been an even bigger problem to solve. Upfront, N10? Out wide? Or CMF? The latter is the option he has to grasp. He is not a B2B player in the sense that he will run with the ball from deep, but more of a runner from deep. That requires the space to run into, and in turn, that requires creative players to make things happen. As has been said, his role in the Welsh team is integral to their success, and it works so well for him because the team are playing for Bale’s strengths, which in turn for him, as their close partnership brings so much success. Whole new ball game at Arsenal, and even that is still evolving. So for him to be a strong force in this team, he is going to have to build a supportive partnership in midfield, not a dominant one. That requires discipline, and a bit of humility. If he can pull that off, he can then add his own attributes as and when the need arises. He will find it difficult to take note of how from who I think, his main rival for this second midfield spot, in the short term at least. A player who, if asked to play at right back, he will do a good job there. Ask him to play right wing, and he will do a good job there. Ask him to play in central midfield, his natural home, and he will do a very good job there…..
That player is Ainsley Maitland-Niles. That is the player who, I believe, will put his claims on the line against Preston. He will play for the team effort without a second thought. 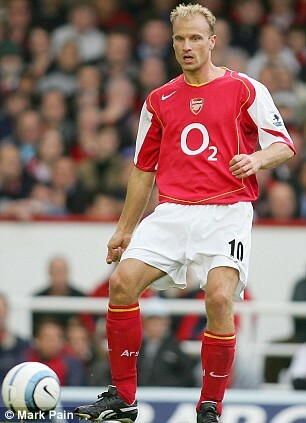 The challenge for you Aaron Ramsey is to match him it that respect, then exceed him on ability. Cheers Gerry, looking fed to seeing Ainsley strut his stuff tomorrow. The FACup could well be our best chance again of winning a prize this season. I guess that the strength of the team that Arsene picks will give us an idea of if he’s thinking along the same lines?! Agreed Kev, who plays tomorrow is one part of it. Who AW selects for the bench is another? For the EFL Cup he went for a strong team, and an Under 23 bench. So there was no rescue changes if it did not work out. He may well opt for the same here. Win it in the first half, rest key players in the second. At least that may be the thinking? Preston will undoubtedly be stronger in the first hour than they will be late on, so we may well end up expending a lot of ‘key players’ energy in trying, an possibly failing to get a clear enough space to rest anybody until late on? I am hoping that the tough game getting a result against Bournemouth will temper his ambitions a little, and just play those that have not been overstretched recently. In others words, play a team for the full 90, and have enough in reserve to go for the win late on, if that is what is required? Koscielny is a case in point. Why was he subbed if it was not a precautionary one? I am sure that Gabriel and Holding would be up for this challenge, although Mustafi might find himself on the bench if he doesn’t start? Gibbs is still showing only a 50% chance of playing, but the FPL site may not be updating as they would for a league game? I am sure he will want to play, as he was captain in the EFL Cup run. If not, Monreal will start, and M Bola may be on the bench. On the other side, Bellerin looked like he could do with a good break, but if M-Niles is in midfield, then that leaves Jenks as the only other option. Not a problem if he has got his confidence back, and the away fans support him? If not, it has to be a worry? I would not be at all surprised to see Ramsey start in midfield, despite the apparent flak he got from the (anti-)social media last time? It may be that it is Xhaka that is given a break, although he never seems to flag in any game he plays. so I would hope it will be Ramsey who makes the up the number of senior players on the bench. Xhaka M-Niles partnership would not be far from the Elneny one, and as he will be away for 6 weeks, it could a major one to develop? However, the Prof’s thought of Iwobi slotting in there could be another one, but leaning towards a Xhaka Cazorla variation? If Perez starts as the CF, although he is one down as only 75% chance of playing? Which would mean Welbeck is the obvious alternative. One for the bench, the other starts would be my guess. The trio behind them also requires fitness checks; Jeff R-A, along with M-Niles, are both in the first team squad, and are fully fit, which is why I expect both to get starts. The former for the Alexis role on the left. Akpom is still only a 50% chance, and so is Walcott, But Ozil in the middle is on 75%, so I can see him getting an hour if his ‘winter break’ is not on going? Zelalem is the obvious challenger to Iwobi in this game if Ozil is a ‘no show’. Again, one starter one bench if that is the case. Although AW may want to make use of Alexis keenness to play every game, and reunite the Ozil connection. In which case, It will be Jeff or Welbeck(or both) dropping to the bench? In the absence of Theo, then Ox is the logical ‘strong’ presence, but Malen is an out side chance for a bench spot, along with C.Willock. Alas Reiss Nelson is unlikely to feature. Those appear to be the options. Who makes the squad of 18 will be revealed later. Please note that my references to fitness are not guaranteed to be accurate this time.